Kevin McCarthy is a consultant whose primary work focuses on the individual and collective challenges faced by leaders and senior teams developing and executing strategic change. Kevin works with leaders and senior teams as a thought partner/coach on strategic and emergent change efforts. For the past seven years, Kevin has been an Associate with Change-Logic, a global firm that focuses on large organizations working to align strategic change efforts. Kevin has consulted globally to organizations in the technology, health, manufacturing, and education sectors and has been an executive education faculty member, facilitating small group learning sessions for Leading Change and Organizational Renewal programs at the Stanford University Graduate School of Business. Kevin has helped to design and currently leads programs for chapters of the American Leadership Forum (ALF). He has delivered training sessions to diverse groups of leaders on topics of dialogue and diversity, systems/community change and models of emergent disruptive change. 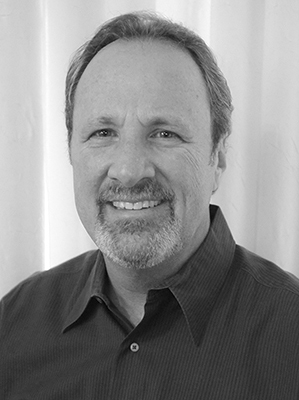 Originally trained as a Doctor of Chiropractic, Kevin worked for Palmer University and held various leadership positions over his 20+ years, including Vice President for Education. He provided leadership in a three-campus system for chiropractic and science education degree programs, patient care, and research. He is a doctoral student at the Fielding Graduate University in Human and Organizational Development. His studies are focused on the dynamics of diverse teams in leading disruptive change efforts. Kevin obtained his Masters in Education from the University of Southern California and holds a Masters Degree in Organizational and Human Development from Fielding. Kevin studied for two years with MIT Professor Bill Isaacs and his firm Dialogos, focusing on the essential role of dialogue in constructing meaning and shared commitment to change efforts.